The Allegheny County Library Association (ACLA) is a federated library system of 46 public libraries delivering service in more than 70 locations. Member Libraries include the Carnegie Library of Pittsburgh, which has 19 locations, and 45 other libraries and their branches located outside the City of Pittsburgh throughout Allegheny County. Each library is independent and has its own board of directors; as a consortium they share a countywide catalog, jointly offer downloadable books, audios, and videos as well as online databases, and provide a diverse calendar of programming events. The eiNetwork supports the automated library operations, Internet access, and free Wi-Fi services available at all county libraries. 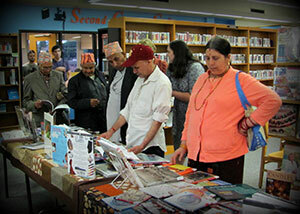 Through its coordination, ACLA expands the resources of local libraries beyond what they could accomplish individually. Solicits and receives funding annually from local and state agencies and disperses it to member libraries according to detailed formulas. ACLA is accountable for reporting and compliance. Offers professional development sessions for library staff, such as STEM training for children’s librarians, to improve skills and increase the effectiveness of libraries as educational institutions. Coordinates programming countywide (or at multiple libraries) by serving as a central point for funding, materials, and consultation. Examples include Summer Reading Club for children and One Book, One Community for adults. Builds partnerships with County agencies, corporations and nonprofits to leverage resources for programming. Examples of partners are the Allegheny County Health Department, Allegheny Intermediate Unit, and Pittsburgh Arts & Lectures. Manages bookmobile service to select senior facilities and pre-school centers (primarily Head Start programs) and fee-based service to communities within the County without a local library. Provides technical assistance to build the governance and management capacity of individual libraries. Convenes and consults with the Membership for purposes of strategic planning and resource sharing. ACLA’s story began in 1991 when the County Controller’s office issued “A Quiet Crisis: Libraries in Allegheny County.” The report detailed the dismal state of County libraries, each working independently of one another without any centralized coordination or communication structure. The report challenged the collective community to increase funding to improve services. In response the Allegheny County Library Association was established, becoming a 501(c)(3) corporation in 1994. It was one of the charter contractual assets to receive funding through the Allegheny Regional Asset District (ARAD). Allegheny County has 130 independent municipalities, making large-scale cooperation rare and extremely difficult. Yet ACLA has succeeded in becoming a model for delivering service across municipal boundaries. We envision a healthy, engaged, and thriving community supported by libraries that welcome, inspire and educate. ACLA, a federated library system, provides and promotes the highest quality public library service possible for all residents of Allegheny County through collaboration, cooperation and coordination. Visionary Leadership: We encourage visionary leadership committed to excellence and innovation. Ethical Stewardship: We promote ethical stewardship of resources. Openness and Collaboration: We promote a free and open exchange of information and active collaboration. Respect: We respect diversity of member library opinions and community needs. Advocacy: We actively promote the value of public library service to municipal, County and State officials and other stakeholders and provide tools and information for libraries to do the same locally. Capacity Building: We consult with libraries about governance, resource development, and library operations and we provide administrative support services to increase local library capacity and allow libraries to focus local resources on direct public service. Communications: We coordinate, facilitate and manage internal and external communications, marketing, and public relations to assist libraries in service delivery and to promote broad awareness of library service. 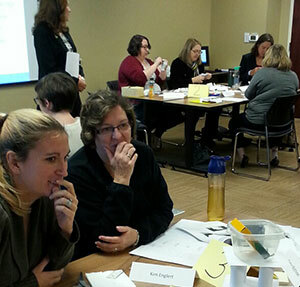 Professional Development: We design and coordinate professional development opportunities for library staff and boards. Resource Development: We secure and distribute public and private funds that further the mission of the system and our member libraries. To read our open meeting policy Click Here.